Successfully Added iXming Laser Projector - Android OS, Quad-Core CPU, ALPD Technology, 2600 Lumens, 1080p Resolution to your Shopping Cart. So much more than a simple projector – with its Android operating system the iXming portable laser projector allows you to download and enjoy the latest apps, games, and movies on a massive screen and in stunning quality. 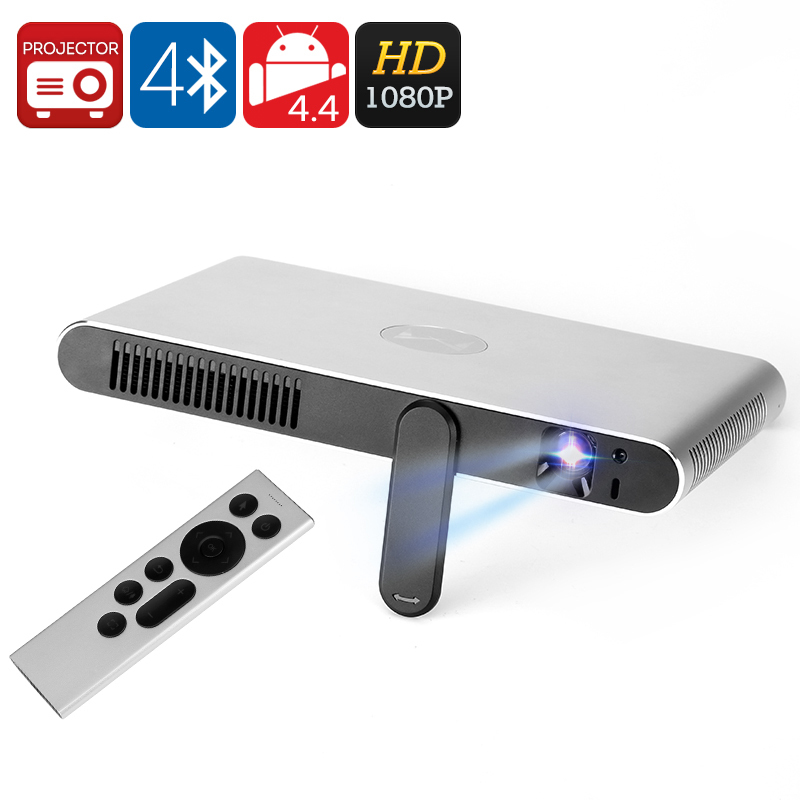 Take your media experience to an entirely new level and enjoy years worth of entertainment with this Android projector. Featuring state of the art ALPD technology the iXming projector uses lasers rather than traditional lamps to emit an image. Thanks to this technology this Android projector is capable of portraying images in quality far outperforming traditional RGB and lamp projectors. Create a true cinematic experience by watching your favorite FHD movies in stunning 1080 resolution and enjoy all your games like never before. With the iXming projector, you do not only take the most out of your entertainment experience, it also uses significantly less energy making it an environment-friendly device that simultaneously has positive effects on your electricity bills. Hidden inside this beautiful little projector lays a powerful quad-core CPU along with a Mali-400ML graphics card and 1GB of RAM. With all this hardware you are guaranteed to have a device that is capable of meeting the most demanding of tasks, allowing you to watch the latest FHD movies and play the most demanding online games without dropping a single frame. Its Wi-Fi connection furthermore enhances your user experience by allowing you to browse the web and seamlessly stream movies and series without any interruption. With 16GB of internal storage, there is no need to worry about running out of storage space anytime soon. Emitting a powerful 2600 lumens of light the iXming projector offers the perfect platform for entertainment and business alike. Whether you use it during your next annual presentation in the office or at home to enjoy a casual movie night with your friends – this Android projector is the answer to all your entertainment needs and professional demands alike. This iXming Portable Laser projector comes with a 12 months warranty, brought to you by the leader in Android projectors as well as wholesale electronic gadgets..
Arabic: - البروجيكتور الروبوت - Chinese Simplified: - Android 的投影仪 - Czech: - Android projektor - Dutch: - Android Projector - French: - Projecteur Android - German: - Android-Projektor - Hebrew: - מקרן אנדרואיד - Hindi: - एंड्रॉयड प्रोजेक्टर - Hungarian: - Android projektor - Italian: - Proiettore di androide - Japanese: - Android のプロジェクター - Korean: - 안 드 로이드 프로젝터 - Malay: - Projektor Android - Norwegian Bokmål: - Android projektoren - Romanian: - Android proiector - Russian: - Андроид проектор - Spanish: - Proyector de Android - Thai: - โปรเจคหุ่นยนต์ - Turkish: - Android projektör - Vietnamese: - Máy chiếu Android.